This collection of four volumes brings together 250 car anthology models, amongst those the Citroën 2CV and the Rolls-Royce Silver Ghost. The book presents an annotated illustration of each model, taken in five angles, giving life to every part of the vehicle. 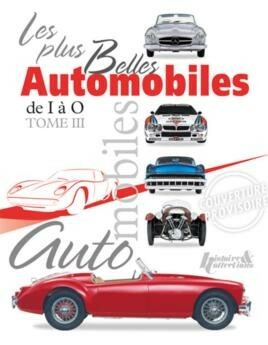 Unfortunately, due to sales rights restrictions, we cannot offer Les Plus Belles Automobiles Vol.3 for sale in your country. This collection of four volumes brings together 250 car anthology models, amongst those the Citroën 2CV and the Rolls-Royce Silver Ghost. The book presents an annotated illustration of each model, taken in five angles, giving life to every part of the vehicle. All specifications of it are also shown, including speed, acceleration, weight, dimensions, etc. This Volume covers cars from I-O. A must read for all lovers of automotive history.